Yesterday Nat (@bibliogeek82 / The T.A.R.D.I.S and the Teapot) ventured to West Wales to visit Tenby. After a quick pit stop to grab some Starbucks we were on the M4 and heading west. Thankfully bank holiday traffic hadn't quite picked up too much so we were there in no time, cue much excitement upon entering Tenby. For those of you who don't know Tenby (Dinbych-y-pysgod in Welsh, meaning Little town of fishes/Little fortress of the fish), it's a sea side town in Pembrokeshire. It has over two miles of glorious sandy beaches, 13th century medieval town walls, a picturesque harbour and an offshore monastic island. Tenby is very much a tourist town, as well as beaches it has good independent shops selling locally produced art and crafts. Nat and I have recently decided to start a blog together, we're planning on finding and writing about independent and secondhand bookshops. This idea came from visiting the wonderful High Rise Bookshop in Cowbridge last weekend. It kick-started my reading bug (as the pile of eight books on my bedside table will attest to) and sparked the idea of the blog. Once it's up and running I'll be sure to share it on here. 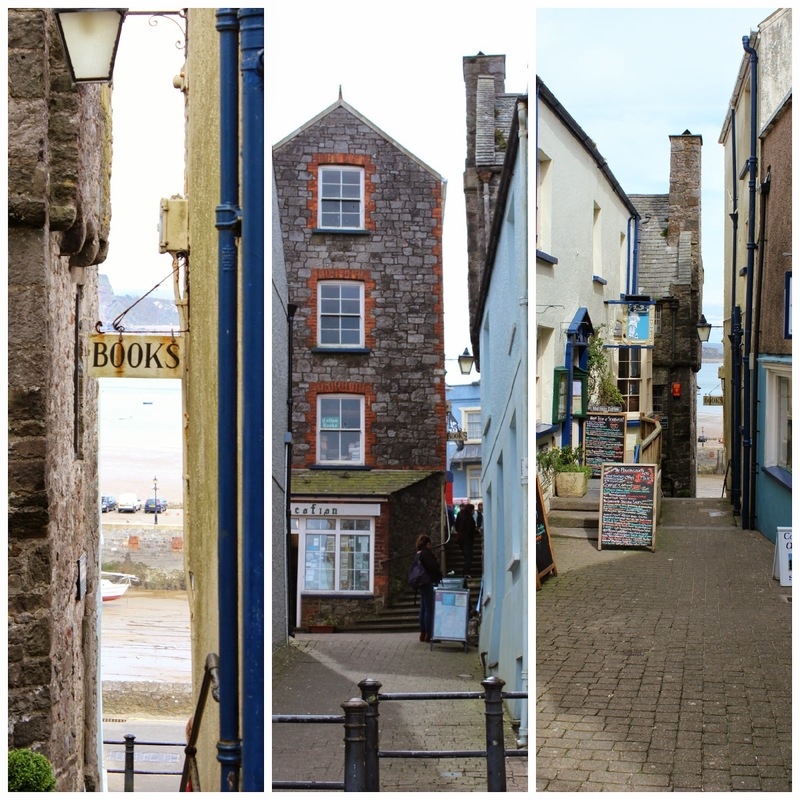 Prior to going to Tenby yesterday I only knew of one bookshop in Tenby, the Tenby Bookshop. My family have been visiting the shop for more than 20 years, no trip to Tenby is complete without visiting it. Although the shop is less bookshop and more giftshop with books now, I still really enjoy popping in. Earlier in the week I had searched online for secondhand bookshops in Tenby and only one came up, Cofion. It has no website, twitter account or facebook page, but there are some photos of it around from people who have visited. The photos I found made it completely necessary for us to visit, it was...unique. Believe it or not, the guy that owns it does have a filing system. There was a pile of fiction, a pile of sci fi and fantasy, religion, autobiographies. The piles, however, were taller than me. Removing a book to look at felt a bit perilous at times with the books wobbling and threatening to topple over. There's also no through route in the shop so you can't walk around it easily, the poor man who came in after us had to reverse his way out of the shop to let us out. You'd really need to go in there with no bags and plenty of time on your hands to really explore, hopefully another trip will be on the cards in the future. After leaving the shop we stopped for chips and then explored Tenby a little more. I had read in the week that St Catherine's Island was now open to the public but only on the weekends, in all the years I've been going to Tenby (so 28 years) I've never been on it. I was a bit disappointed that it wouldn't be open as it was a Thursday but as we got onto the beach I realised that there were people on the island. After paying our £2.00 each we climbed the stone steps to the top of the island, they were £2.00 well spent as the views were wonderful. At the moment you can't get into the fort as it's not safe but it is hoped it will be open for tours from this summer. With the sea air tiring us out it was time for tea and cake, the new Caldy Coffee Shop had opened since my last visit so we decided to go there. We weren't let down, it was a very charming coffee shop with comfortable seating, huge slices of cake, good tea and free wifi. After resting in there a while we were both getting tired so decided that we ought to get up for a wander around Equinox, a shop that sells pretty much everything. 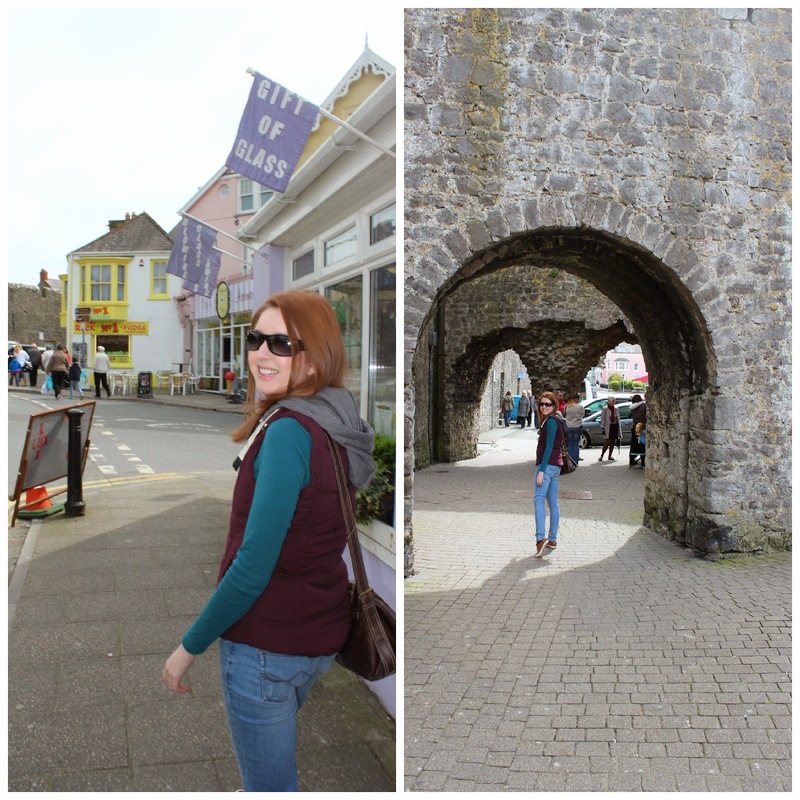 A quick stroll through the side streets of Tenby and we headed off for a quick stop in Saundersfoot. We walked through the tunnel that connects Saundersfoot and Coppets Hall, I finally got to see how the Coast Restaurant was coming along. It looked great, I'm hoping I'll get to eat there (after staying in St Brides Hotel - it's been a dream of mine for a while) one day. As it was getting late and cold we headed off back to Cardiff, swinging through Laugharne very briefly. It was a great day which made me realise that I really want to go for a break in West Wales for a week or so, there's so much to do and see. 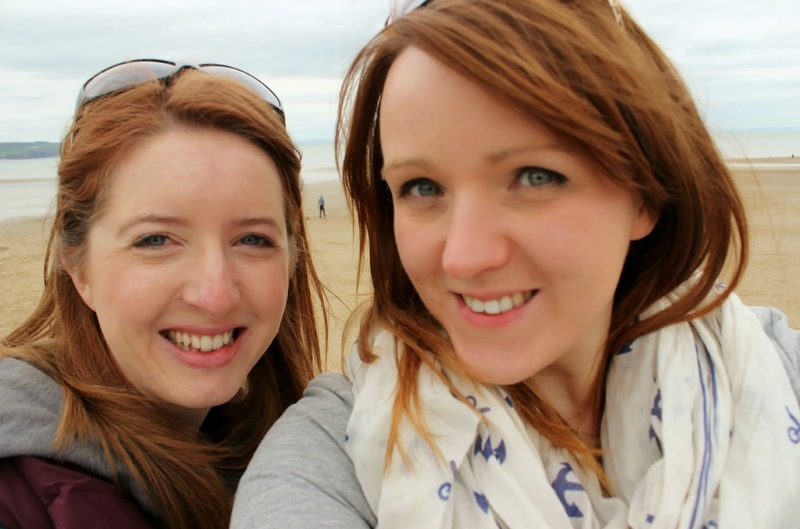 Do you have any tips on places to visit in West Wales or bookshops Nat and I can visit for our blog? What a cute little place for a visit, reminds me of Robin Hoods Bay in Yorkshire a far bit with the shape of the houses. Very cute! I so want to visit there! It looks wonderful. What a gorgeous little place, I love the different coloured buildings, so pretty! It is incredible, absolutely huge as well! Might be a bit of a trek for you girls though cos it's in Northumberland!